Welcome to India, You will be received by Premium India Tours representative at airport and assisted to your hotel. In the Hotel you will have a brief description of your tour and the representative will hand over your documents regarding the tour, Rest of the time at leisure. Overnight at Hotel. Proceed to Munnar enjoying the scenic beauty & the marvelous waterfalls, high mountains with the low flying clouds passing by. In the evening you can go for sight seeing of Munnar which includes the Raja Malai - a top peak of Munnar where you can see Neel Thar (mountain goats).Overnight at Hotel. Morning, after breakfast, visiting tea plantations, Anamudi, Eravikulam National Park, Devikulam, Mattupetty, Pallivasal, Pothamedu, Attukal etc. Rest of the day at leisure. Overnight at Hotel. Morning, proceed to Periyar on the way visiting Idukki dam. On arrival check in at hotel. 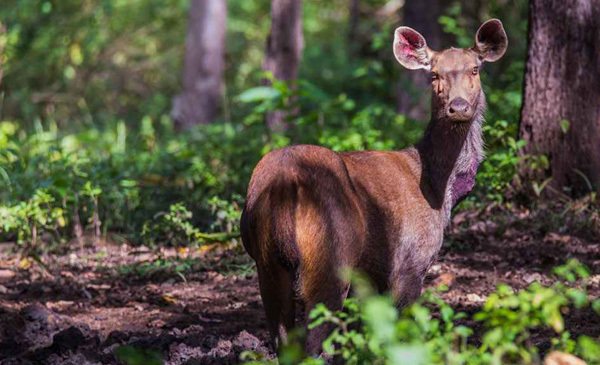 Periyar wildlife sanctuary is home to nomadic tribes of wild elephant,boar, deer, the great Indian tiger and more. Evening go for boat cruise in the lake to watch wild animals. Overnight at Hotel. Morning, after breakfast boating through Periyar lake - Wildlife sanctuary. You can visit the rare species of plants and animals. Afternoon visit spice plantations like cardamom, cinnamon, pepper, coffee, tea estates etc. on your way back to the hotel, you could stop at the local market and pick up some fragrant spices. Overnight at Hotel. Early morning proceed to Kumarakom. Reach and visit the Bird Sanctuary. Later drive to Vembanand Lake to board on House boat for the House boat cruise. The still lagoon will welcome you with palm trees lining on the shore. Watching the daily activity of the villagers will enrich your curiosity. The Chinese Fishing Nets set in the shore, and fishermen gliding slowly on the water, bunch of ducks swimming nearby the bank, birds chirping in the sky - all together presents a very pleasant picturesque worth to mesmerize you. You will stick to the deck watching the splendid scenery of backwater and taking sun bath. As you take your lunch, you will reach at Punnamada lake. This is the place where every year world famous boat race is organised. Cruising through the Vembanad Lake will unfold a very panoramic view of the backwater full of peace and tranquility. In the evening, you will visit the paddy fields. It will give you better insight of the village life of Kerala as you will have opportunity to interact with the local villagers and will know well their daily activities. To enjoy the houseboat vacation in its full circle, you will again be staying overnight at the houseboat. Disembark the boat at the reception of the backwater resort at Alleppey. Alappuzha is famous for its boat races, houseboats, coir products, fish and lakes. Overnight at Alleppey. After Breakfast at Hotel, drive to Kochi, the commercial capital of Kerala. Vasco-da-Gama placed this spice centre and the natural harbors on the world map. The tourist places in the city include a Jewish synagogue, Portuguese Churches, Mosques, Hindu temples and Chinese Fishing Nets. In the evening attend the traditional Kathakali Dance Show. Overnight stay at the hotel. Breakfast at hotel, rest of the time is free for your own activities. In time transfer to Airport for your flight back to home.